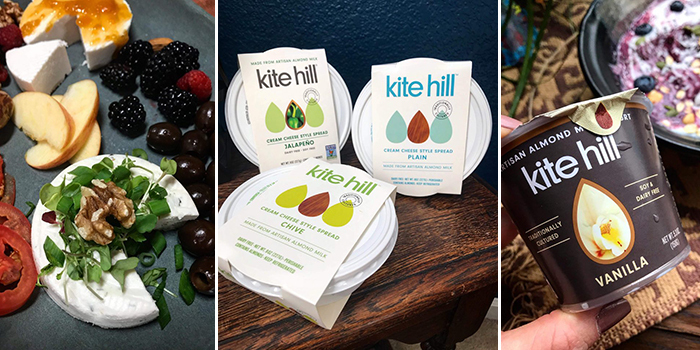 It’s very likely you’ve heard of Kite Hill and even had a chance to try their yummy vegan yogurts and cheeses. 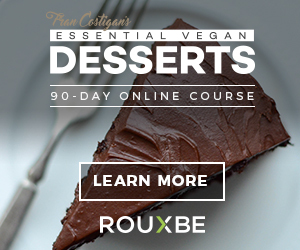 If you haven’t, however, or are curious to learn more about what they make and how you can cook with it, then this post is for you! 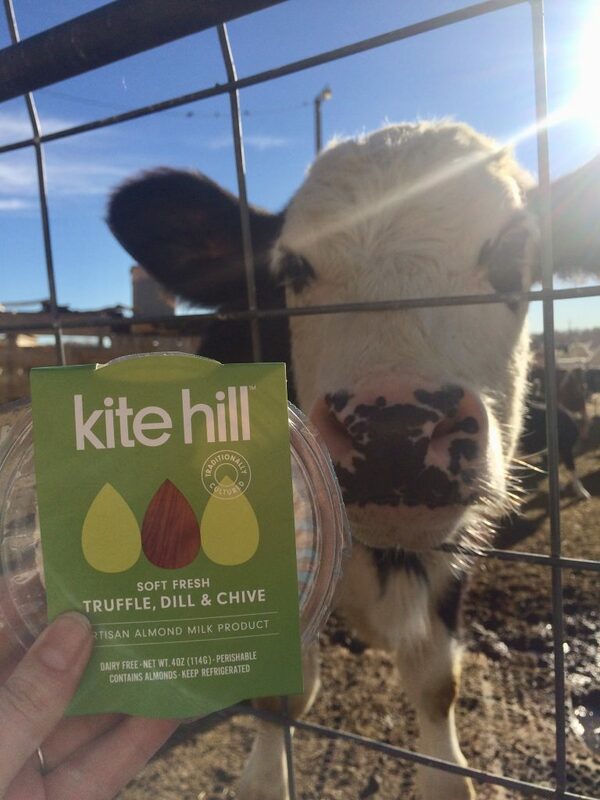 Kite Hill makes a variety of non-dairy cheeses and yogurts – all made from almonds! 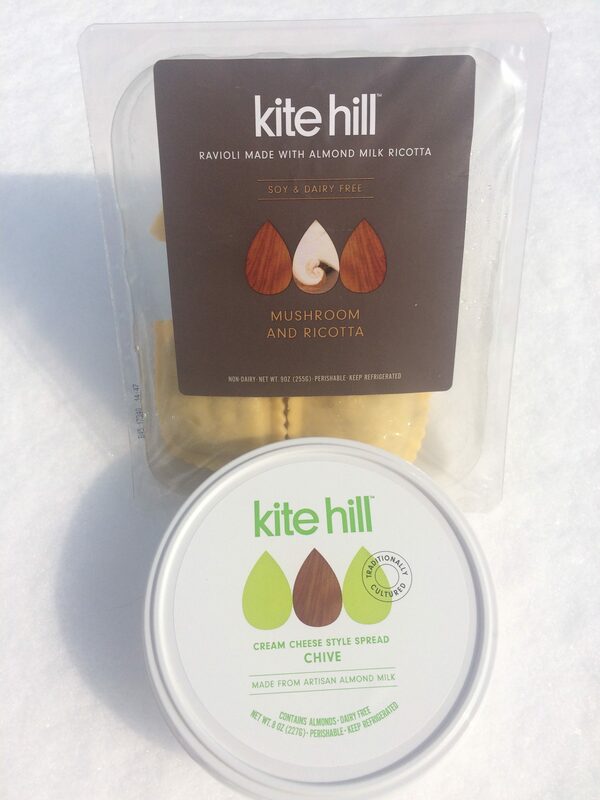 Kite Hill’s available products include European & Greek Yogurt, Soft Fresh Cheese (similar to mozzarella or feta), Cream Cheese, Ricotta Cheese and Ravioli (and now tortellini!). 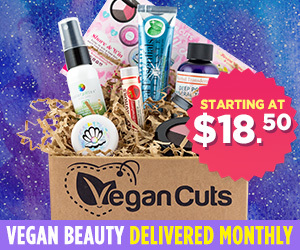 It also appears that their are some new products are being released! I’m one of the very lucky people that got to work for them for a few months. 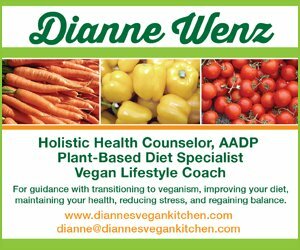 During that time, I learned a lot about what they offer and was able to create some really nice recipes using their products too! 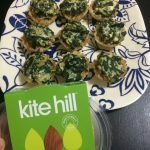 All vegans should be familiar with how to cook with Kite Hill because it becomes a very nice component in many dishes and really will just kick recipes up a notch. It’s also so easy and convenient to work with and often great to take to parties, potlucks, holiday meals, etc. 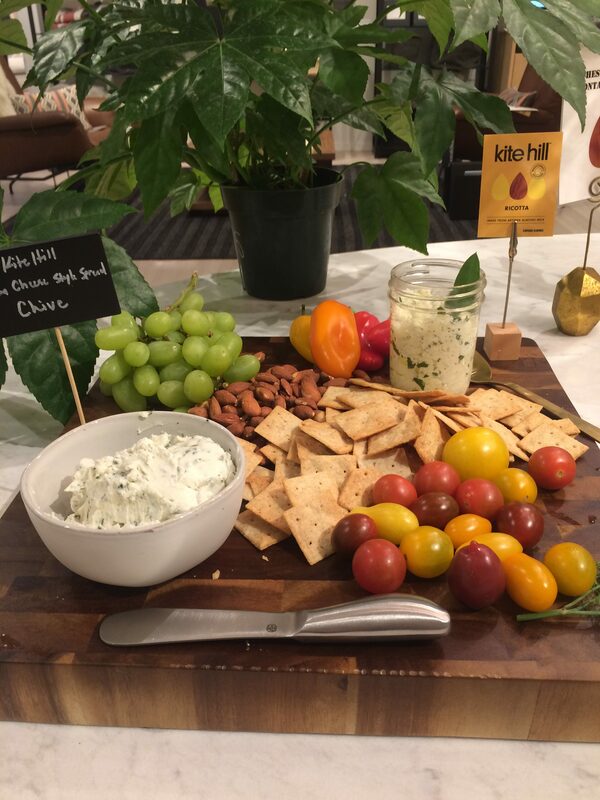 Everyone is always amazed when you bring a fancy little cheese plate with an assortment of fruits and veggies and Kite Hill cheeses! 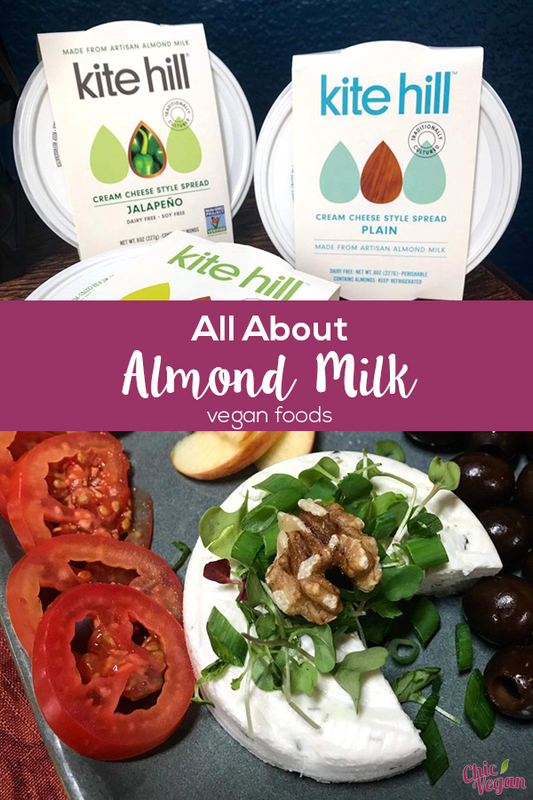 Kite Hill Almond Milk Foods can be purchased throughout the US at many natural grocery stores, you can find a store locator on their website to find where you can grab them near you. 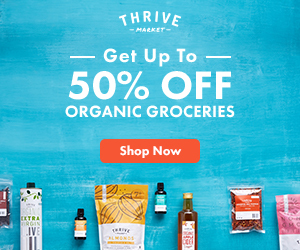 I highly recommend any of their products- everything I’ve tried that they make is delicious! These are great to make into parfaits by adding granola, nuts and a variety of dried or fresh berries and other fruits. They are also excellent served with ground flax or chia seeds as an easy way to sneak in those incredibly important Omegas! 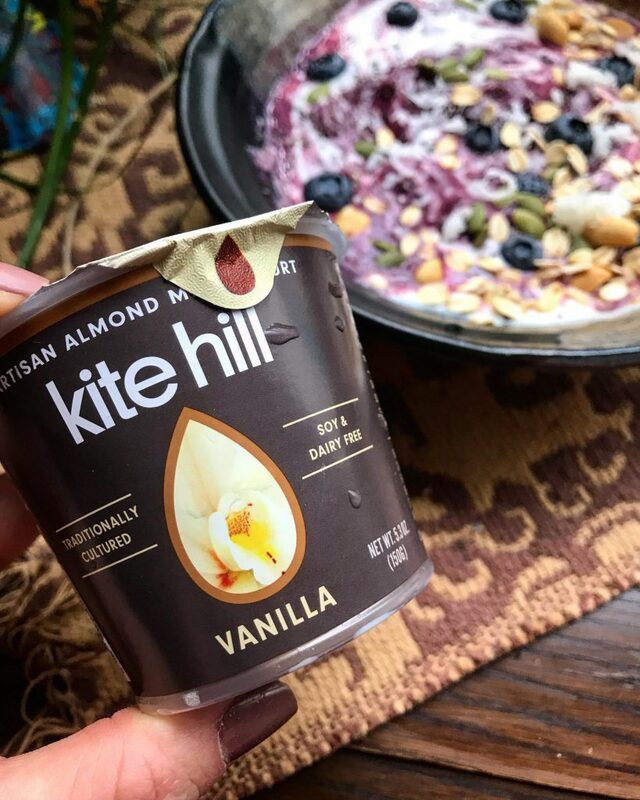 Another one of my favorite ways to use the Kite Hill yogurt (Vanilla) is to use it as a dressing on a Waldorf salad made with chopped apples, grapes, celery and walnuts! 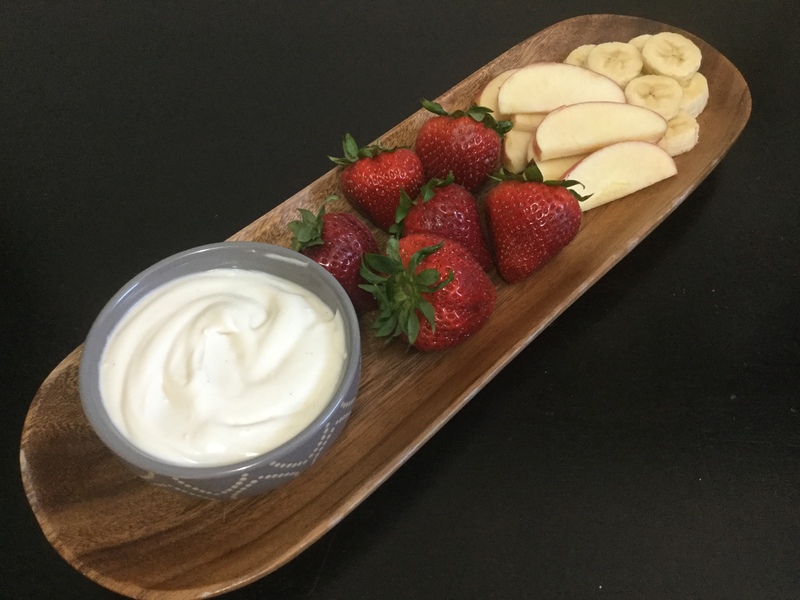 This yogurt can be used as a dip but adding a dip packet or by making your own herb blend, you can also use it as nice sour cream replacement by adding a little lime or apple cider vinegar and add it when you make a homemade dressing to make it creamy. These are great eaten just by themselves with a little fruit, nuts, seeds or granola or use the plain to make a tzatziki or cucumber raita. You could also add other veggies and herbs and spices for a savory dip. 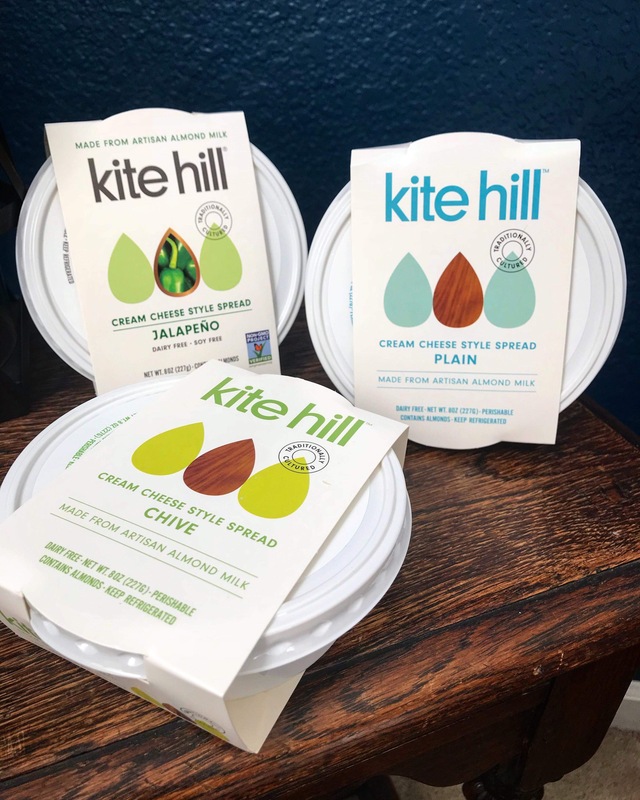 There are quite a few cream cheeses on the market now, and Kite Hill is definitely a favorite. They make 4 flavors; plain, chive, jalapeno and now an everything bagel! To the plain, you can add any fruit, sweetener, nuts or herb blend and finely chopped veggies and spread on bagels. You can also serve it on crackers, make into cheeseballs, stuff it into dates, jalapenos, pastas, alfredo sauce, chili rellenos, enchiladas, use for frostings or cheesecakes! 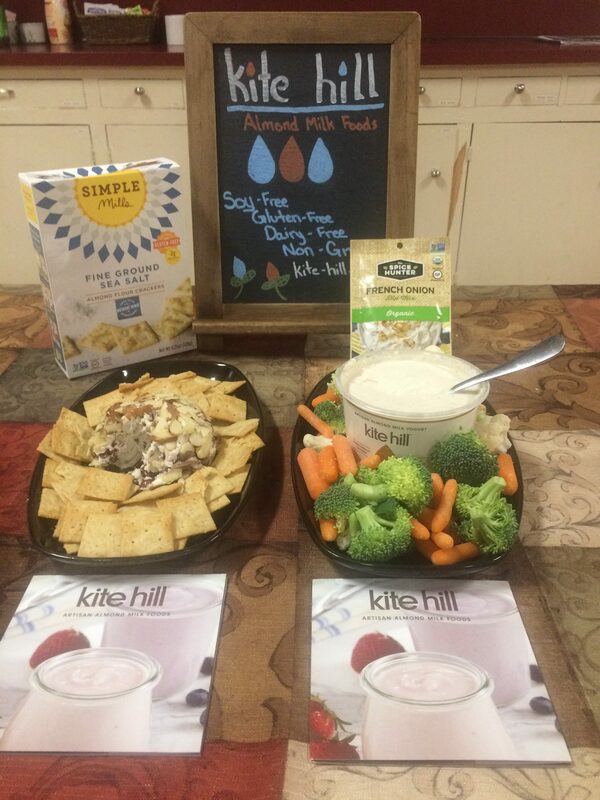 The cream cheese is so versatile and such a great addition to many, many recipes! Another fun and super simple way is to warm it slightly, top with your favorite jam, and serve with crackers. This is great for holiday meals and really fun to take to parties, try it with pepper jelly! 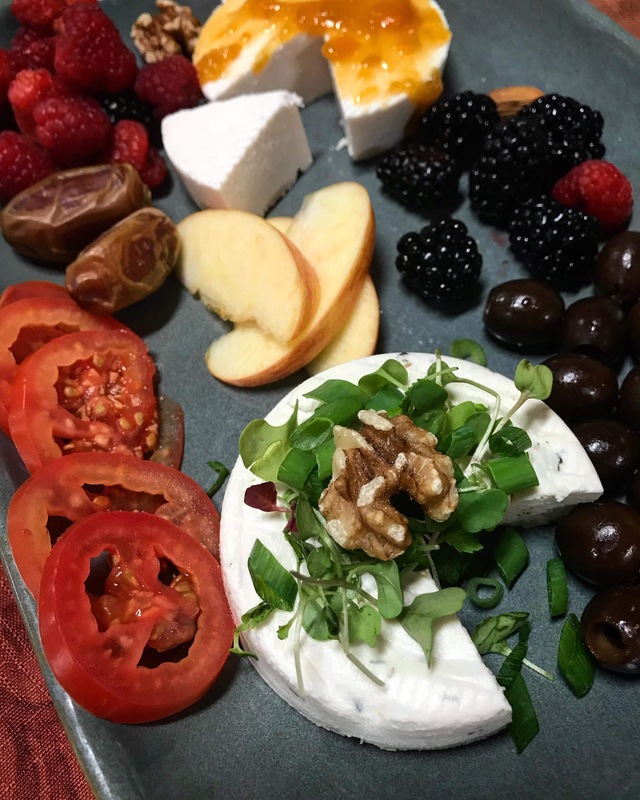 Similar to mozzarella or feta, these cheeses can be crumbled in salads, pastas, serve on crackers, serve on a skewer with other fruits or veggies, in caprese salad. The soft fresh comes in Truffle, Dill & Chive as well as a Plain and the Plain is one of the most delicious vegan cheeses I’ve tried on a pizza! This cheese is amazing in lasagna, stuffed shells, pasta, ravioli, salads and desserts- take it in a sweet direction and use it in ricotta cheesecakes, pancakes, cookies. It is wonderful with lemon added. Also add some herbs like basil, olive oil, garlic to the lemon and turn it into a really fabulous dip! These pastas can be topped with marinara, sautéed veggies, or you can make an alfredo sauce (which can be made from scratch with Kite Hill cream cheese). 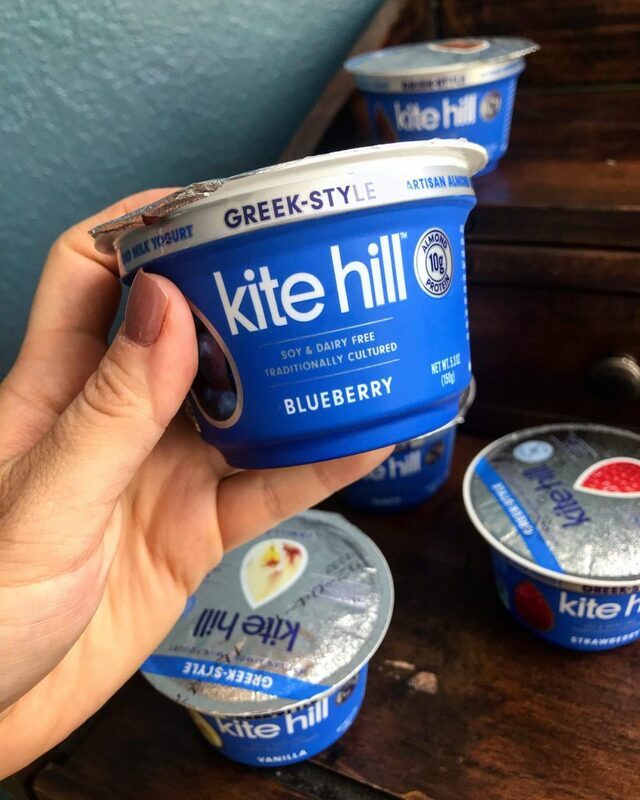 You can basically use the entire line of Kite Hill products the same way you would traditional dairy based cheeses and yogurts. So have some fun and get creative!! 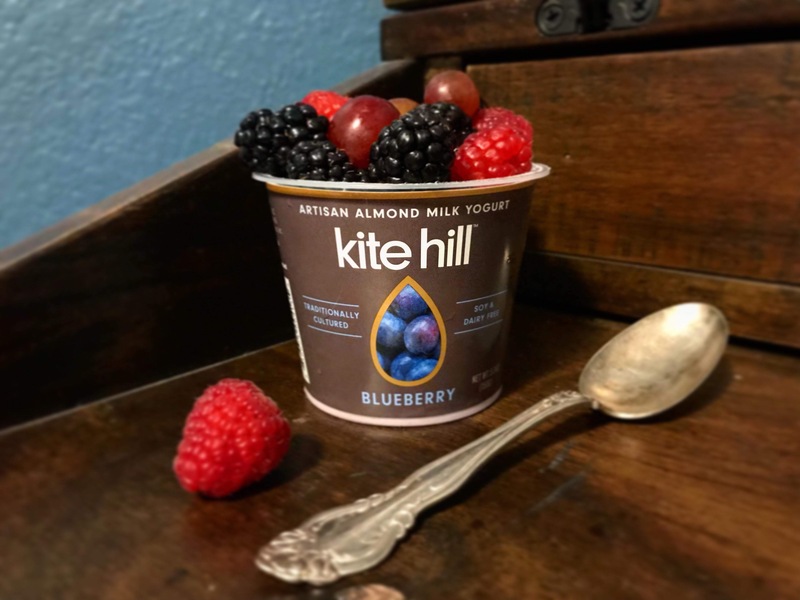 Kite Hill has additional products and is also adding to its line. They appear to have some new dips as well as Strawberry flavored Cream Cheese, too! Yum! Preheat the oven to 350°F. Place the phyllo cups on a large baking sheet and set aside. Heat the oil (or water for a healthy sauté) in a skillet over medium-high heat. Add the finely chopped onions and season with salt and pepper. Sauté until translucent. Add the garlic and sauté until fragrant, about 30 seconds. Add the spinach and cook until spinach is soft. Transfer to a large bowl and let cool slightly. Add the parsley, dill, egg replacer, nutmeg, and stir to combine. After completely combined add the crumbled Kite Hill Soft Fresh and stir until lightly mixed, don’t overwork the mixture. Spoon the mixture into the phyllo cups and bake for 30 minutes, or until golden brown. Serve hot. If you can’t find the phyllo cups, you could also use phyllo dough and make this recipe as a casserole. 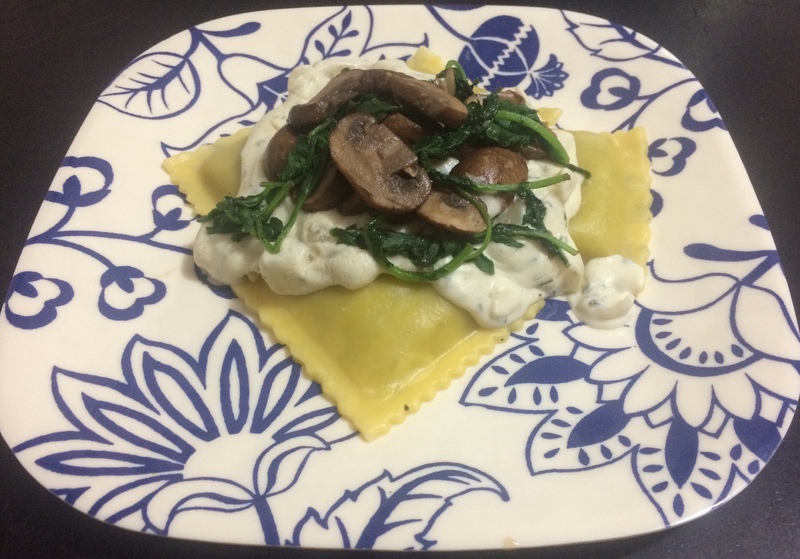 Just place the spinach mixture in a casserole dish and top with the dough in layers and bake. Hope these ideas help inspire your creativity and are helpful for you! 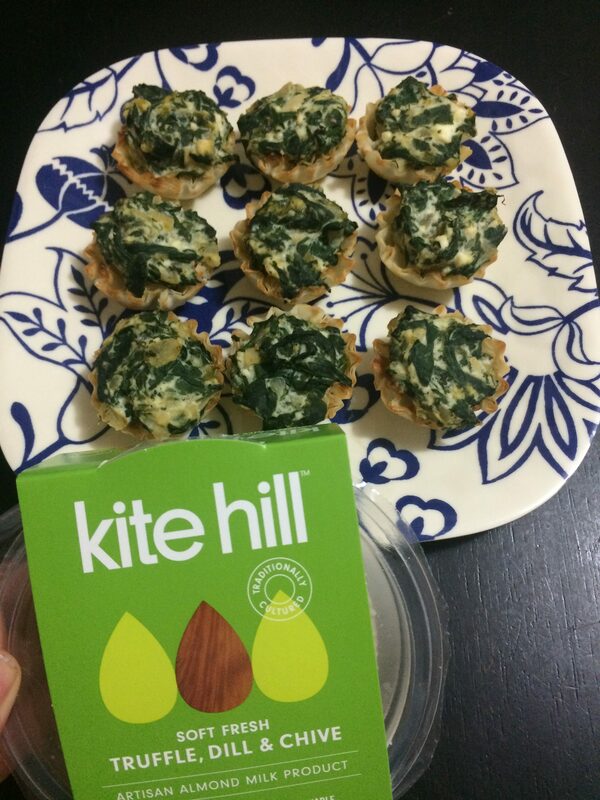 If you are a fan of Kite Hill and use it often in recipes, please share with us your favorite ways to use it or recipes! We are always looking for ideas!